Epiroc has launched its new U.S. website, www.epiroc.us. 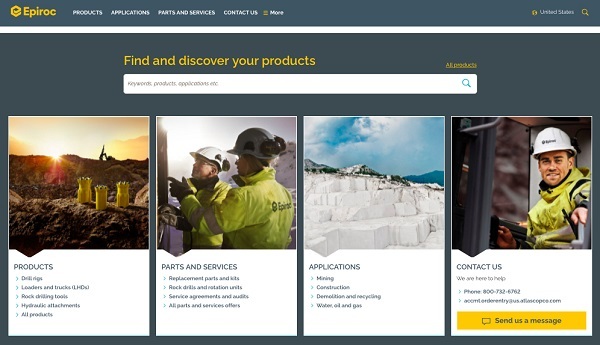 Designed with the needs of mining, infrastructure and natural resources customers in mind, the engaging new site features user-friendly navigation and functionality. Epiroc is a bold new company born of the Mining and Rock Excavation Technique business area and the Hydraulic Attachment Tools division of Atlas Copco. The company develops and produces innovative drill rigs, rock excavation and construction equipment, and provides world-class service and consumables. Click here for everything Epiroc!